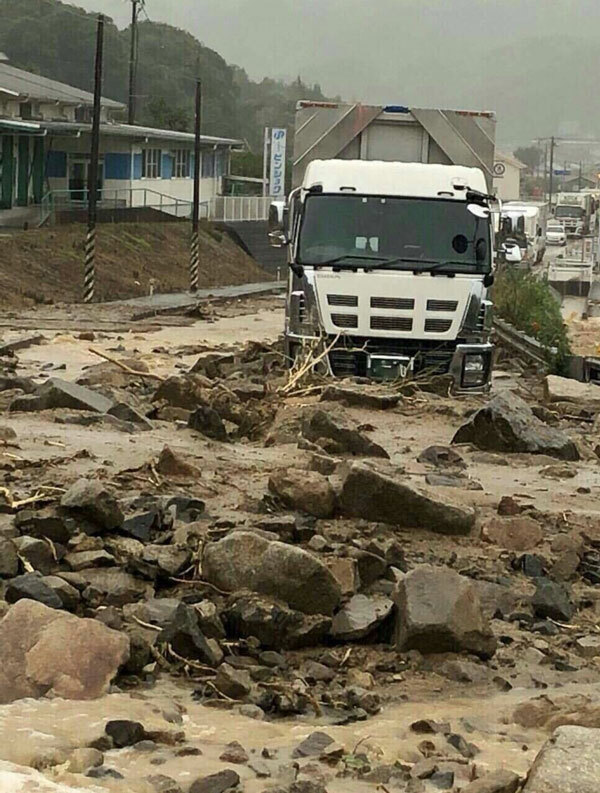 Emergency Response: Flooding in Western Japan : Accepting Donations! 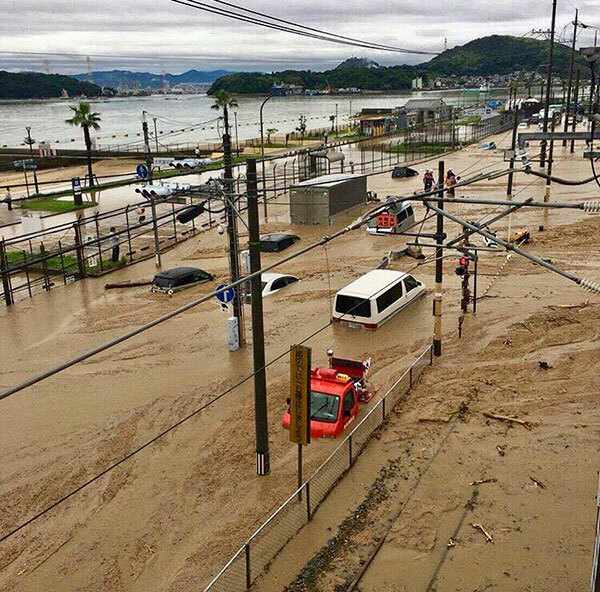 Much of western Japan, including Fukuoka, Nagasaki, Saga, Hiroshima, Okayama, Hyogo, Kyoto, and Gifu Prefectures, has been hit by historic rainfall. Several areas have been impacted by flooding and landslides that have claimed lives, devastated entire communities, and forced millions of people to evacuate from their homes. PBV is currently working closely with partner organisations and relevant agencies to gather as much information as possible about the situation on the ground. After conducting a rapid needs assessment, PBV will begin implementing a comprehensive response to support survivors, in collaboration with local community and government groups. We would greatly appreciate your involvement and support in helping those affected by the flooding in western Japan. You can make a secure online donation via our Japan-based credit card processing system (translated into English). Cards bearing either of these logos can be used. Credit Withdrawal Date The funds will be withdrawn on the same day as all other credit card transactions, as specified by your credit card company. Number of Payments The amount will be withdrawn in one single payment. Amount Minimum of 1,000 Japanese Yen, maximum of 100,000 Japanese Yen. Cancellation We cannot cancel donations after the credit card transaction has been authorized, so please check thoroughly before submitting the donation. Personal Information Your personal information will not be passed on to any third parties without prior consent. Remittances in either US dollars or Japanese yen can be made from overseas banks. The information shown below is required to make a remittance from overseas to our account. Please note that remittances to Japan cannot be made from certain financial institutions. For details, please ask your local bank. Bank name MUFG Bank, Ltd. If you are based in Japan, you may find it more convenient to send your donation from post office. PBV accepts donations via postal transfer too. The following details is required for the transaction. You can make a secure online donation via PayPal through our New York-based associated organization Peace Boat US, which is a 501(c)3 registered organization in the United States. For more details about donations and US tax deductions, please visit the Peace Boat US website. Peace Boat Disaster Relief Volunteer Center is now registered as a charity on Benevity, a global provider of corporate social responsibility platform. If your enterprise is registered as a client to Benevity, you may want to select this option to make your donation as a part of philanthropy program of your company. Please visit the Benevity website for details.